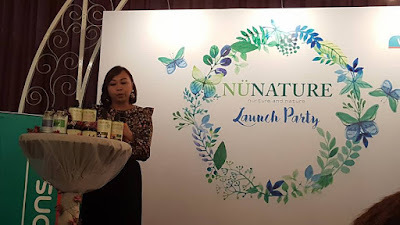 Nunature, a homegrown pureveyor of natural hair and body care products, proudly announced its milestone distribution agreement with one of the country's leading personal care stores, Watsons Malaysia to bring its products closer to consumers. 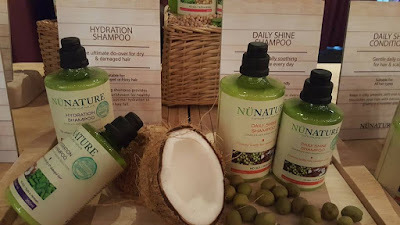 The wide range of Nunature's Complete Anti-Aging Solution comprising Shampoo, Conditioners, Hair Masques as well as Bath & Shower Creams are now available at Watsons nationwide. 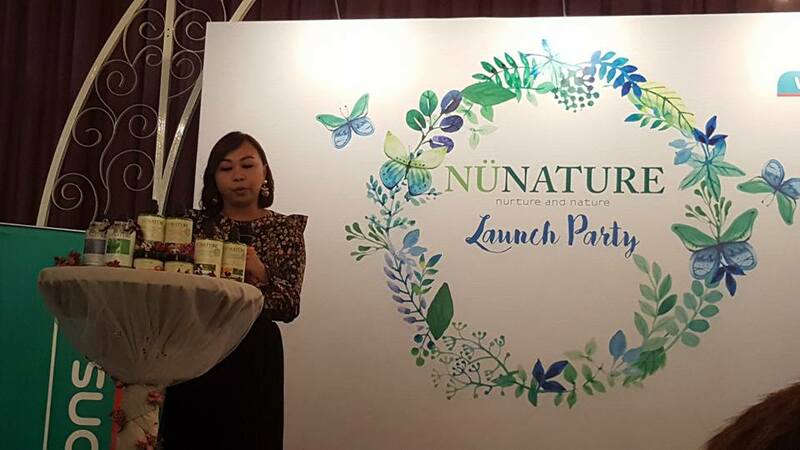 Nunature products are infused with precious botanical ingredients that works primarily in maintaining hair and skin's well-being. The Indian Kino Tree Extract, a key ingredient in all of its products, is rich in anti-ageing properties. This plant extract aids in preventing excessive hair fall by strengthening the hair roots (hair care) and repairing damaged skin as well as strengthening skin's protective barrier (body care). 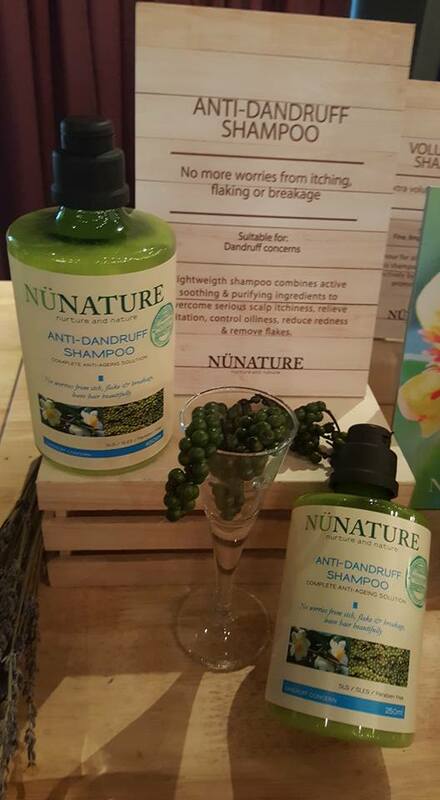 All Nunature products do NOT contains Sodium Lauryl Sulphate (SLS), Sodium Laureth Sulphate (SLES), Parabens and colourants. Free from harmful ingredients, they are safe for everyday use. With total 7 types of shampoo, 2 conditioner, 2 hair masques, and 4 body & shower creams, you'll be spoil of choice. You can click online for more info. Do you know about scalp and hair growth? Scalp ages 12 times faster than body skin and 6 times faster than facial skin. The average speed of hair growth on a normal scalp, is roughly 1.25cm per month. However on an ageing scalp, the speed of hair growth might slow down as much as 80% or as little as 0.25cm per month. I am using the Rose Geranium Bath & Shower Cream, it is rich and smells good too. It particularly helps to plump, smoothen and moisture my dry skin. Rose water is remarkably versatile with its excellent high level of antioxidant and anti-ageing compounds. 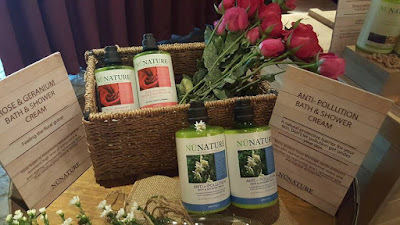 Love the rose floral scent of the product, giving me the refreshing shower that soothes my mind and senses. I tried the 2-in-1 Shampoo Nunature suitable for all hair types, I like the nice scent of this product. The 2-in-1 formula provides hair with its daily dose of proteins and a protective sheen against environmental pollutants in just one step. 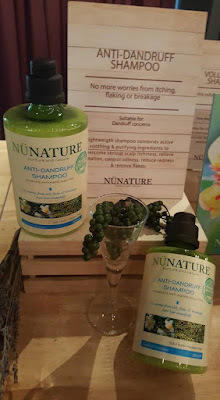 Containing Indian Kino Tree Extract, a potent anti-aging ingredient that enhances scalp and hair with antioxidant nutrients, this shampoo includes Guar Tree Extract, an excellent conditioning agent, and Lavender extract for better blood circulation that eventually strengthens hair and prevents hair fall. I have tried this brand before, its very gentle on our hair. 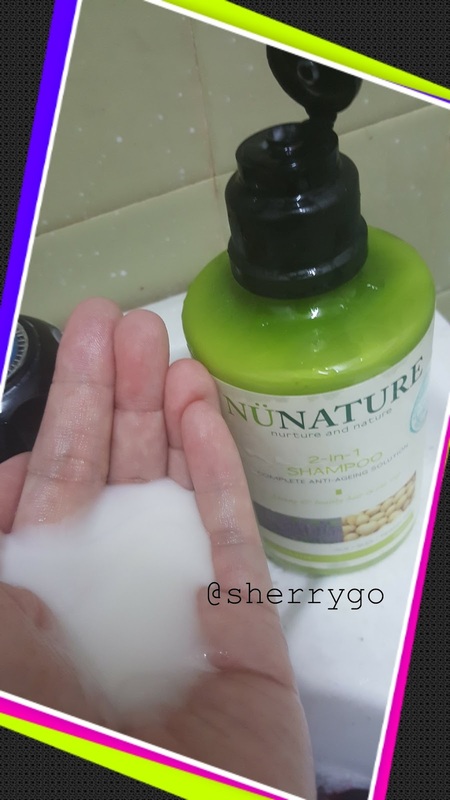 I like the nature smell of the shampoo and it contains natural ingredients.